Shiromani Akali Dal alleged that Kamal Nath had a hand in the anti-Sikh riots that broke out in Delhi in 1984. Chandigarh: The opposition Shiromani Akali Dal (SAD) Friday protested in the Punjab Assembly the Congress’ decision to appoint Kamal Nath as Madhya Pradesh chief minister, saying the Rahul Gandhi-led party was rubbing salt into the wounds of victims of the 1984 anti-Sikh riots. SAD MLA Bikram Singh Majithia raised the issue in the state Assembly a day after his party colleague Manjinder Singh Sirsa alleged in Delhi that Nath had a hand in the anti-Sikh riots that broke out in the national capital following the assassination of then prime minister Indira Gandhi in 1984. Majithia said the Congress was rubbing salt into the wounds of victims of the riots by naming Nath as Madhya Pradesh chief minister. Parliamentary Affairs Minister Brahm Mohindra claimed that Nath had no role in the 1984 riots. 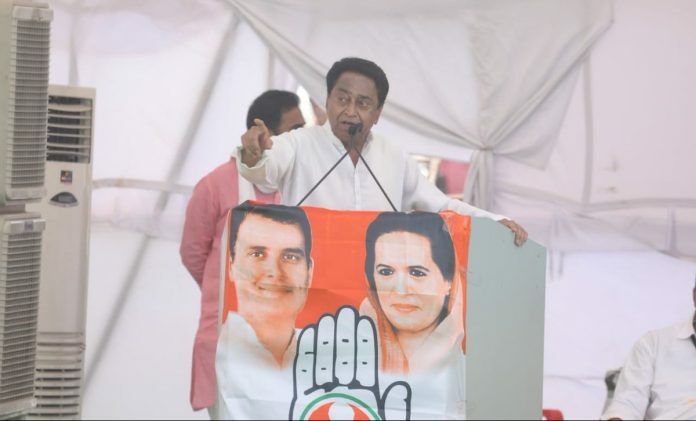 He also showed a picture in his mobile phone purportedly of former chief minister Parkash Singh Badal felicitating Kamal Nath at an event in the past. Chief Minister Amarinder Singh alleged the opposition was politicising the 1984 anti-Sikh riots. Intervening during a call attention motion on the concluding day of the winter session, Amarinder Singh said the law was taking its due course as far as allegations against Nath were concerned. He said Nath served as a Union minister for more than 10 years after the allegations first surfaced against him. The chief minister said a mere reference in the Nanavati Commission report could not be construed as Nath’s involvement in the case. “Let us leave it to the law. If somebody is guilty, he’s guilty. If he is not guilty, he is not guilty,” Amarinder Singh told the House. Members of the Congress and the SAD engaged in a verbal duel on the issue. SAD MLAs raised slogans against the Congress government and later staged a walkout.